CDO Forums / Main / Off-Topic Discussion / Lustria has been overrun by Skaven! Author MessageLustria has been overrun by Skaven! It would seem the Under-Empire is expanding. Lustria has fallen! I was about to rage in a very childish way when i remembered today is the 1st of April. You had me. The first of April. Admiral you are a bad man. The lizards were weeping and my 8year old daughter was ecstatic that the big bad mice had won. Fortunately we play AoS so I never have to let her know. Bad to the bone, folks. T9A pulled a Black Gobbo trick, with a Goblin mascot takeover. 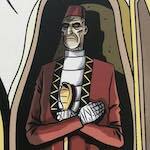 This post was last modified: 04-01-2019 04:41 PM by Admiral. 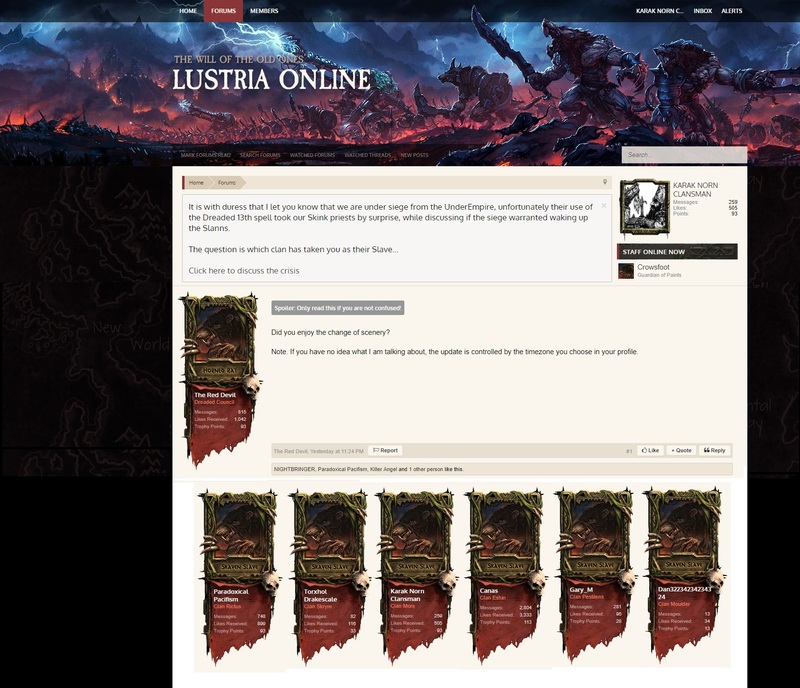 We the staff of Lustria-ONline were very happy to see this thread. This is the fourth year running where we changed the banner art on April 1st and it never gets old.